These things take time. 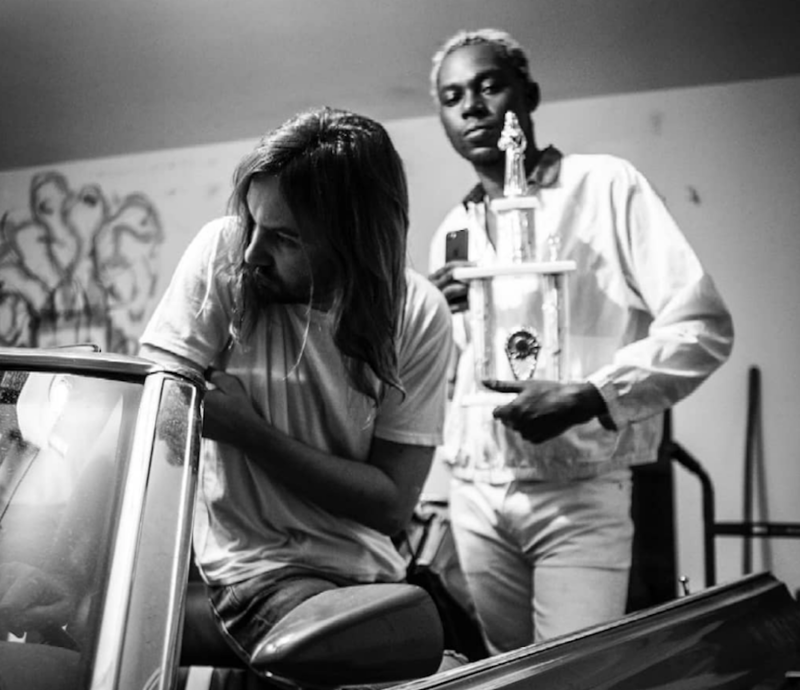 The outrageous creative spirit that is Theophilus London first linked with Tame Impala's Kevin Parker after a show in 2016, and they quickly hit the studio. Laying down a few ideas, those initial sketches went unreleased, with work continuing on email chains, and the occasional face to face meet up. 'Only You' - a cover of a song by Nigerian musician Steve Monite - was released back in October, with the two now re-uniting for a brand new single. 'Whiplash' has been available online in various forms for a number of years, but it remains as fresh, as daring as when we first heard it. Bathed in synths the chugging beat sits somewhere between psych rock and West Coast hip-hop, while Theophilus London has a barely constrained sense of energy. Given its first play on Zane Lowe's Beats 1 show, the host asked Theophilus to sum up the record in just 10 words. His response? "We've got phenomenal. We got authentic, originality, super packed, jam packed, hit-em-over-the head, ow! They said: Theo, we need you in town. Ow!" We completely agree. Tune in below.